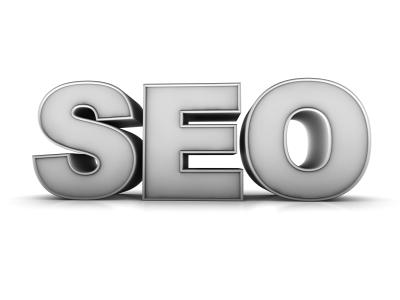 There are a few key variables that make for good SEO and web design synergy. In fact, there are many aspects of web design that contribute to SEO effectiveness, many of which hinge on the structure and organization of the site that is being optimized. Good SEO begins with awareness of the web design elements that are important and risky. In essence, good SEO and web design teams know the aspects of a webpage that are fundamental to the SEO process, such as content, coding structure, navigation and usability. Professional providers of SEO and website design also know which design elements that can hinder SEO performance, such as Flash and code-heavy pages. Below we outline three perspectives that define successful SEO and website design teams. You can use these points to help refine your own optimization efforts, or use them as an evaluation of your current SEO and web design provider. An essential requirement for SEO and web design is being able to think creatively and critically. One sign that a SEO web design team is not seeing their services through this perspective is the uniqueness of their packages. Creative teams have custom, unique packages per client and they think critically in building each package and campaign. On the other end of the spectrum, there a many SEO and web design teams that offer cookie-cutter templates and automated packages that fail to use any creativity or critical thinking. Mark-up language is the heart of the web. Web pages are “marked up” with HTML and XML, which governs most data interchange on the Internet. Search engines recognize most content through mark-up language, which is why it is essential for a SEO to understand the basics of HTML. When web design and SEO clash, certain design elements are added to a page that inhibit the search engine performance of a webpage. 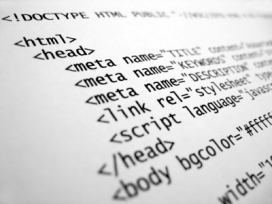 In short, web designers may be quick to use robust coding structures, or even worse, Flash media. Many designers are unaware of the repercussions such web design elements have on SEO. When a search engine spiders attempt to crawl a page with Flash, they often choke and fail to index the page efficiently. Search engines are specifically designed to retrieve information, and there basic function is governed by precision and recall. That is, search engines are highly precise in the way in which they can retrieve information based on the user’s needs and they are able to recall information that is most relevant to the search query. These two principles form the basis from which strategies for SEO and web design can be developed. With a good idea of the concepts of information retrieval, Atlanta Web Design and SEO teams can better organize their strategies in a cohesive logical manner. Critical thinking is also improved as service providers discover a wider source of relevant information from which conclusions can be drawn upon. Designers can structure pages to meet the content organization demands for SEO, all the while addressing aesthetic variables that help websites convert users. Formal SEO optimization education does not focus on these three foundational perspectives. In most cases, SEO education is geared toward the methods and techniques that result in immediate results. Looking at SEO and web design from a broader perspective can often shed light on more long-term opportunities.